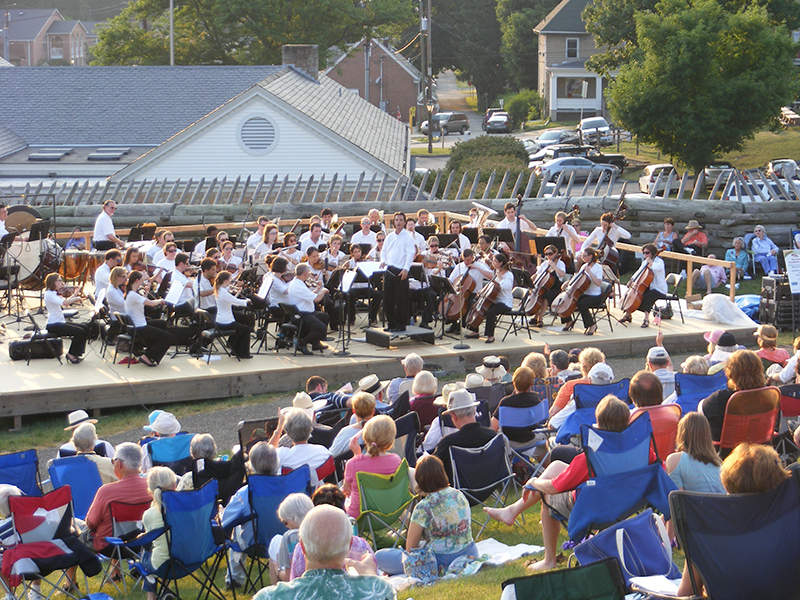 The Westmoreland Symphony Orchestra under the direction of conductor Daniel Meyer is returning to Fort Ligonier for a free concert in the Lower Fort area. Guests are encouraged to bring their own lawn chairs or blankets for the outdoor performance and refreshments. In the event of rain, the WSO will perform inside the Fort Ligonier Center for History Education. Please join us for a very special summer evening at Fort Ligonier.